Oh how I love mushrooms! I’ll eat them just about any way I can get them. 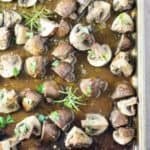 This recipe for Roasted Rosemary Garlic Mushrooms is one of my new favorite ways to prepare mushrooms. 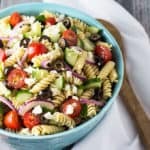 So meaty, savory and flavorful… this recipe comes together in 30 minutes flat including 10 minutes prep time. 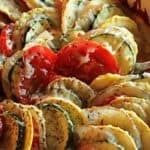 I have a lot of rosemary growing, so this recipe was a must-try! 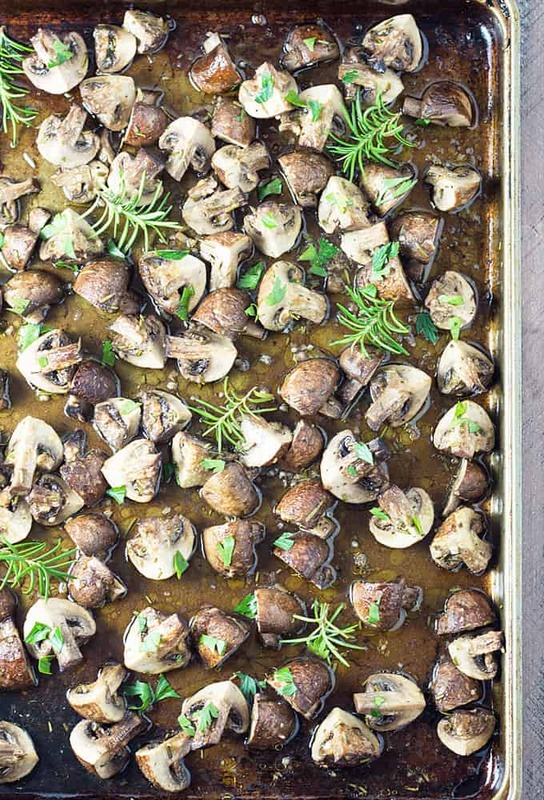 How can you go wrong with mushrooms roasted with an olive oil, rosemary, garlic and red wine vinegar mixture?! 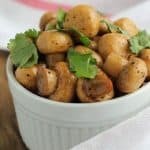 Cooking for one is difficult during the week, so I ate these mushrooms with leftover chicken from my recent one pan roasted chicken recipe… AMAZING! 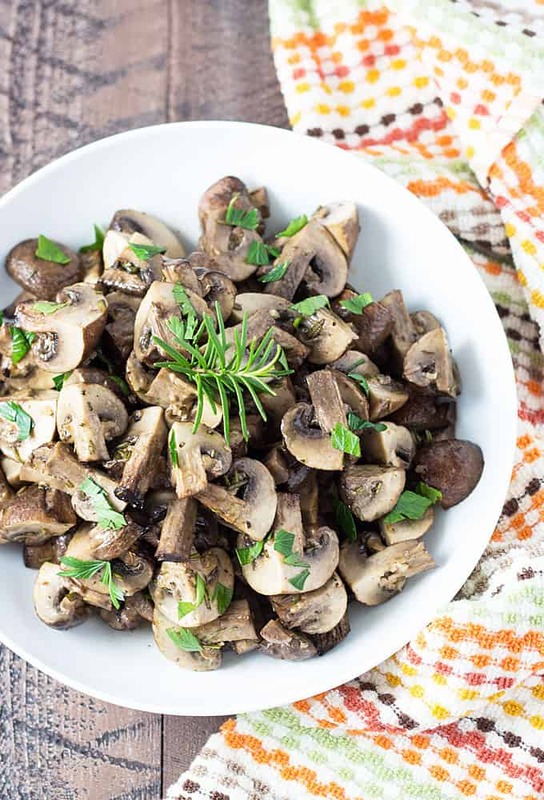 If you’re a mushroom lover like me, I know you’ll love this recipe… so easy! 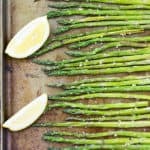 Preheat your oven to 400 degrees F. Spray a large baking sheet with cooking spray. Using a paper towel dampened with water, wipe off mushrooms. 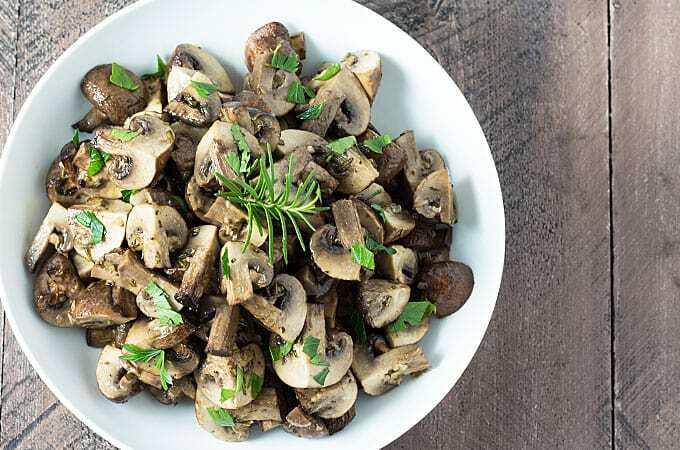 Slice mushrooms in quarters or half, depending upon size. Set aside. 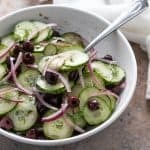 In a large bowl, whisk together olive oil, red wine vinegar, garlic, salt, pepper and rosemary. Add mushrooms to olive oil mixture and gently toss well to coat. 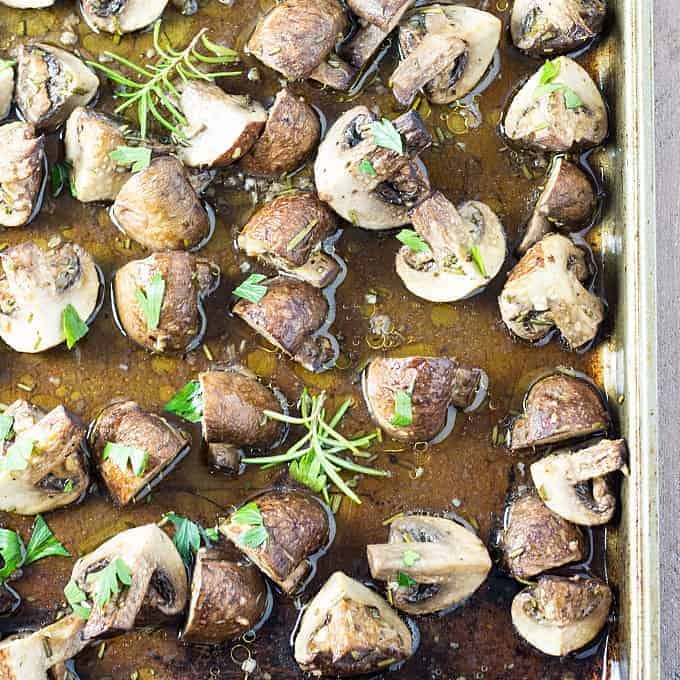 Place mushrooms on baking sheet evenly and bake for 10 minutes. Remove from oven and turn using a spatula or wooden spoon. Return to oven and bake for an additional 10 minutes.